A high performance replacement for standard electrical tape and shrink wrap. 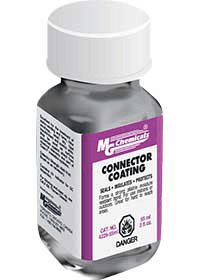 Seals, insulates and protects exposed wires, metal, and plastic. Forms a strong, pliable moisture resistant bond. Product remains flexible from -34°C to 93°C (-30°F to 200°F).